Keep the "Fate" alive, for it's coming soon. Here ye, here ye! What wonderful news has come to our attention. 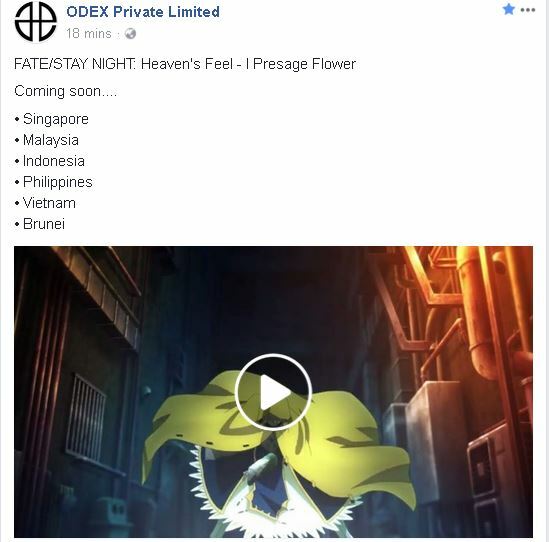 From the people that brought us some of the best Japanese entertainment our hearts desire, ODEX Private Limited they just announced that FATE/STAY Night: Heaven’s Feel – I. Presage Flower will be coming to the Philippines among other Asian countries. Checkout there post here or scroll down to see the screenshot. 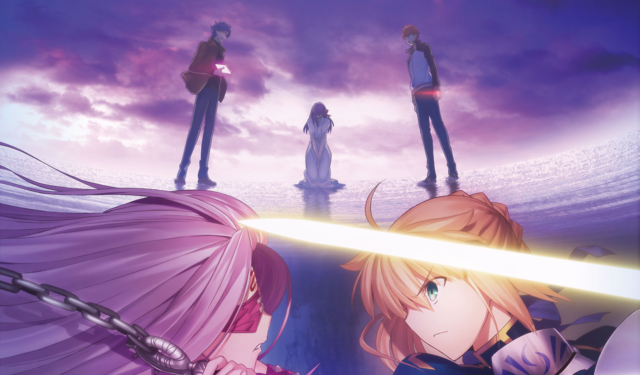 Fate/stay night: Heaven’s Feel is an upcoming Japanese anime film trilogy. 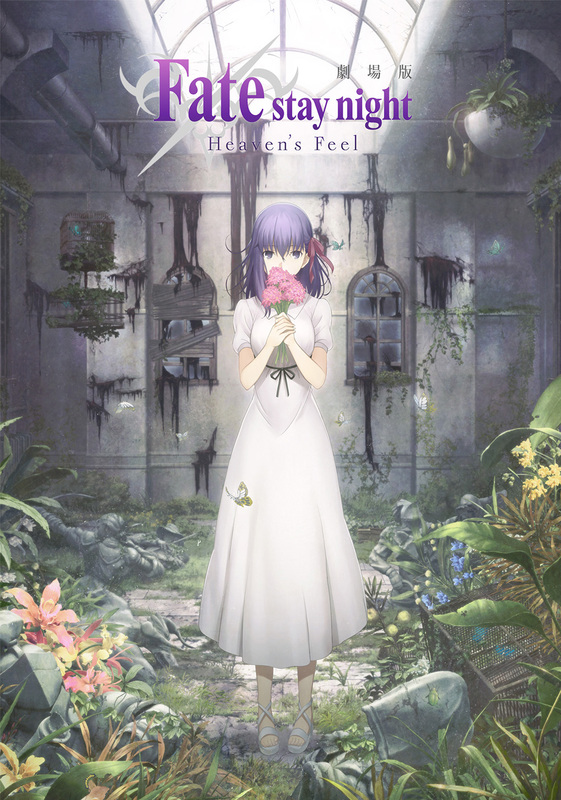 This time the main heroine is Sakura Matou. Produced by Ufotable, the trilogy will follow the third and final route (Heaven’s Feel route) of the visual novel. The first film is scheduled to premiere on October 14, 2017 in Japan. I really, really, really hope there is a fan screening of this with really cool stuff as part of the humble bundle included in the usual fan screening tickets. For any updates of this stay tuned here at UngeekPH. Previous articleOnce is not enough! The Irregular at Magic High School gets a 2nd Fan screening this October! Next articleThis Slim Little Powerbank Saved my Cosplay Prop at TGS 2017! Rurouni Kenshin Returns In a Brand-New 5 Arc Story This March!